As the competitive landscape continues to change, companies realize that their survival requires rapid innovation of products and services, experimenting with new business models, and creating new standards and boundaries for their industries. The need to deliver solutions continues to grow, while the time to capture maximum value from them continues to shrink. Thus, businesses need to find creative ways to improve processes and practices, say, Blair Sheppard and Michael Canning, writing in Leadership Excellence magazine. Building innovative solutions is no longer the province of a single function or the senior leaders. It must occur across functions and levels. It must become a core capability and way of life. All leaders need to innovate and support others who innovate across a wide range of challenges, reacting quickly but responsibly when new opportunities arise. What will it take to build and embed the capabilities you need? How can you tap into your strengths, leverage other people’s talents, and find innovative ways of developing solutions for the opportunities you face? Identify and frame opportunities, and decide which are worth pursuing. Be insightful about how to approach opportunities. Improve ideas in cycles of experimentation. Test viable solutions with others to learn more. Be a student and keep an open mind. Look at problems through a new lens, change your methods, or put ordinary things together in new ways. Don’t let your expertise and knowledge make you resistant to input. Go prospecting broadly—explore in the margins, between the functions, and across the industry. Look beyond big ideas. Being innovative is more than big ideas and new products. It’s taking advantage of everyday opportunities that present themselves—to solve problems, improve processes, incorporate new technologies, or extend what already exists—in ways that create sustainable solutions. Be prepared to focus and work hard. We seldom find lasting answers from a single flash of insight. Instead, it takes generating lots of ideas, then filtering and combining them to find the best idea. Without focus, ideas rarely become solutions. See the need or possibility, but then take it from there—learn more, experiment with potential solutions, and try different approaches. Get comfortable with uncertainty. You’ll often have to move forward and make decisions even though there are unknowns. Innovation is like research—you gather information, search more broadly, explore your options, and engage others to join at each step. Find solutions in increments. Successful innovators know that to keep from getting overwhelmed, they need to tackle their challenge in stages. Focus on the current idea or the ongoing experiment and don’t be overwhelmed by the complete task. Expect to be under-resourced. The question is not whether you have enough resources for the entire project—but whether you have enough to get started and if you can get later if needed. Successful experiments will bring increasing resources, commitments, and permission. Build a reputation for sharing the credit. Include others, and make everyone a part of the successful solution. People can contribute in several ways—some from behind the scenes. All are valuable to the process including those who offer space, who share resources, or who give access to others. The more you share credit, the easier it will be to gain more resources and more collaboration. As a leader, you need to build an innovation culture and capability, but you might not have much help in understanding how to do it. Education is one of the best strategic levers available to accelerate this type of shift. However, in many instances, it has been both misunderstood and underleveraged. Learning needs to be systemic, relevant, and actionable. 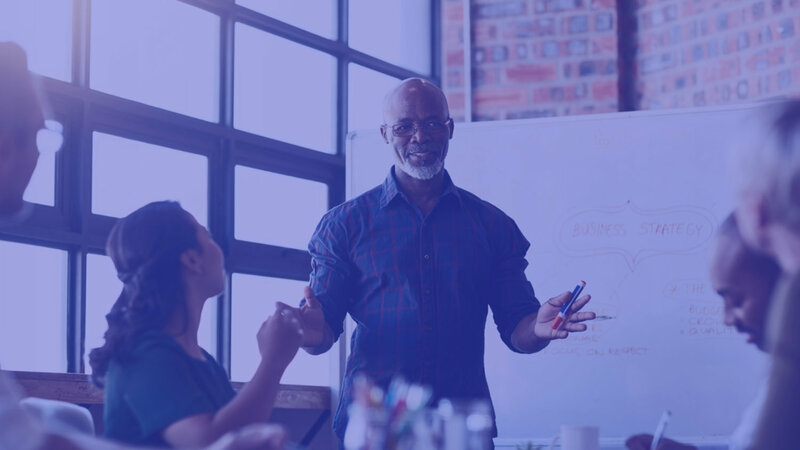 Make sure your people have an education that is designed and delivered to connect in the broader context, focused on the most pressing strategic challenges, and that encourages people to join innovation efforts. You build the future—with your people’s help. Give them the skills, experience, and support they need, and together you can tackle your challenges. Angie May or "Angel" is a life-long business coach and entrepreneur. Her background in editing and her degree in journalism have propelled her career as a freelance writer for many online blogs and businesses. She manages her agency in Dallas and when she is not busy working she likes to divulge herself in makeup and beauty care products.